A guide to Amish furniture in Washington The state of Washington has no Amish population. Amish woodworking has found its way to the state, however, with a number of Amish furniture stores providing WA residents access to Amish woodcraft, within easy range of Seattle, Tacoma, Bellevue, Everett, Renton, Federal Way, Kent, Yakima, and other Washington cities. We’ve updated our guide below for 2015 with 11 Amish furniture locations across Washington state. The total number of retailers in-state has increased over the past three years, reflecting the growing popularity of Amish-built furniture. Amish are known for producing quality home furnishings from solid hardwoods in small-scale family workshops. Amish furniture includes desks, chairs, bedroom suites, kitchen cabinets, dressers, entertainment centers, bookshelves, and more, in contemporary and traditional styles. 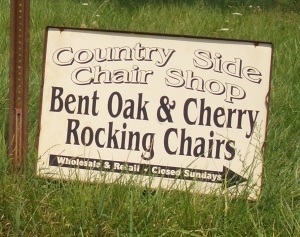 Amish made chairs, beds, nightstands, tables, and more, in cherry, white oak, maple. One hour from Tacoma, 1.5 hrs from Seattle. Amish outdoor furniture including swings, Adirondack chairs, rockers, chaise lounges, benches, loveseats, made from wood (pine), Poly material. Also sells arbors, bridges, lighthouses, playhouses, sheds and mini-barns. Seattle area (north). Hours: Monday-Friday: 9:30 a.m. – 7 p.m.
Saturday: 9:30 a.m. – 6 p.m. Featuring the Borkholder line of Amish furniture made in Indiana, among other non-Amish manufacturers. Four locations in the Seattle / Tacoma area. Cedar Amish outdoor furniture. Porch swings, gazebos, gliders, Adirondack folding chairs. Gazebo kits and greenhouse kits, also log gazebos and log playhouses, Tamarack timber beds. Offers the Simply Amish line of furniture (Amish bedroom, living room, dining room, kitchen furniture), among many non-Amish brands. Carrying the Amish-built Country Classic collection. Seattle area store. Sells Simply Amish brand furniture among other producers. Located in the greater Seattle area. Lists Amish company Country View Woodworking among other producers. Northwest Washington state location. Lists Simply Amish furniture among brands carried. For Amish furniture outside Washington, visit the Amish Furniture main page, with info on Amish furniture sellers and woodworkers in the USA and Canada. Note to Washington residents: Please be sure to check opening hours of any Amish furniture businesses listed in this guide before traveling long distances. While we strive to keep this directory up-to-date, business locations and schedules can change. Not responsible for changes to information. No Amish currently live in Washington state, though a community existed in Washington as recently as the 2000s. Four Amish families living in Washington at the time eventually left as the settlement failed to grow. The Amish in the area “grew hay and grain and operated leather, machine, wheelwright and furniture shops” (read more about the former Washington Amish community here: http://articles.latimes.com/2004/may/23/nation/na-amish23). The great distance from existing Amish settlements in the Midwest and East Coast is likely one discouraging factor for Amish settlement. The nearest Amish communities to Washington are found in Montana. Amish woodworkers can be found in nearly all the 29 states in America where Amish live. Woodworking has arisen as an important industry in Amish society. While Amish still farm in large numbers, the Amish furniture shop has provided a way for Amish families to make a living in a home environment. Along with other small Amish businesses, such as dry goods shops, carpentry crews, and engine repair shops, to name a few, woodworking comprises an important occupational segment for Amish. Contrary to belief, Amish woodworkers do in fact utilize a significant degree of technology in crafting furniture. Saws, sanders, planers, and drills are among the numerous power tools used in Amish shops. However the means of providing power varies. Some Amish rely on belt and pulley power provided via a drive shaft situated beneath the floor of the furniture shop. Other more progressive Amish rely on pneumatic or hydraulic power. Amish furniture makers are able to create a diverse array of furniture in many styles. Shaker, Mission, and Queen Anne style furniture are popular, but Amish craftsman also produce Prairie, Arts and Crafts, Queen Victoria, Craftsman, as well as contemporary and urban furniture styles. Amish also create custom furniture pieces based on their clients’ wishes. Kitchen cabinet makers design kitchens complete with extensive cabinetry work and kitchen islands. Amish also produce a wide array of outdoor furniture, including rockers, gliders, and benches, as well as outdoor structures, such as pet houses, mini barns, sheds, playhouses, gazebos, pergolas, and more. Amish furniture shoppers in Washington State have a number of in-state outlets where they can find both indoor and outdoor Amish furniture pieces. Visiting an Amish furniture shop in person will take extra effort, but communities in Montana, for instance, do have an Amish woodworking presence. Want to locate Amish furniture online? Dutchcrafters sells Amish and Mennonite-built product and ships to Washington state. I own Gone Country a custon log furniture store and along with log furniture..make gliders..outdoor furniture, picnic tables etc. Our local market is quite small here in northern Idaho..can I advertise on your web site or do you have any idea of dealers I can ship too..or online stores..where I could ship direct to customer?